Solomon is based in the Northern Province of Zambia and is currently Senior Wildlife Warden for Mpika District after serving the Lower Zambezi National Park for thirteen years. Under his leadership the Lower Zambezi area saw the lowest poaching levels on record. 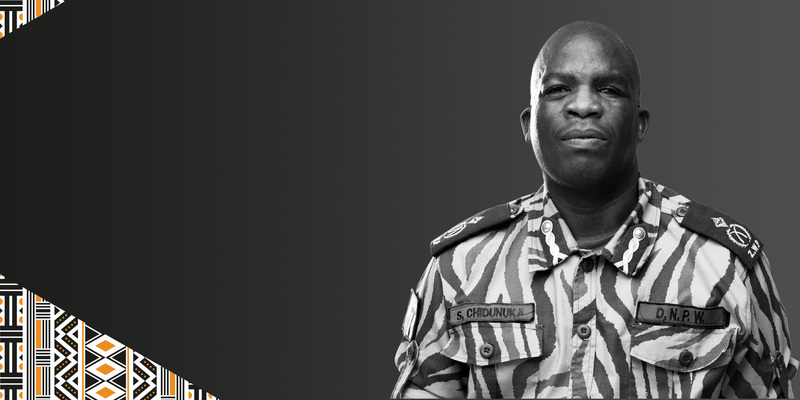 In his role as warden and ranger, Solomon displayed exceptional management and leadership in the oversight of all anti-poaching activities in his respective parks, establishing highly productive intelligence networks, which have led to successful convictions of wildlife criminals. Solomon began his wildlife protection career in 1989, and in his 26-year career he has shown his dedication to fieldwork throughout, rising through the ranks of management. He has also managed to gain and maintain the respect of his colleagues, the tourism operators, communities and conservation NGO’s. Many now consider Solomon the strongest Warden in Zambia. During his career Solomon has established long-term networks to gather intelligence on illegal activity and has been able to successfully exploit them to lead to successful arrests. He leads from the front and by example and is unafraid to carry out operations himself. Spending as much time as possible in the field with his men, his dedication to field operations has been evident in several ‘undercover’ operations, which he has led. 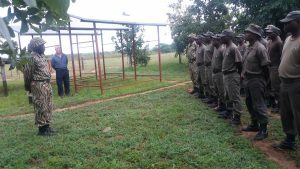 He has successfully launched many undercover operations resulting in the arrest of 195 poachers. If you’ve been inspired by Solomon’s story, learn about another finalist, or let others know about the Tusk Awards.